In addition to any of the required materials present within your Agenda, you may elect to take any number of the additional courses available. 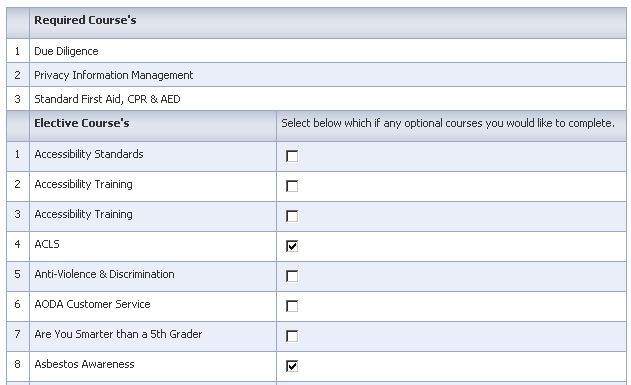 In order to register for any number of elective courses, simply check off those you are interested and proceed to click the "UPDATE REGISTRAR" button. Upon selecting those courses in which you've elected to take, you will have to refresh your profile. In order to do so, simply logout and sign back in and the additional courses will now be available for you to take within your Agenda. As per above, click on the logout link to refresh your account.